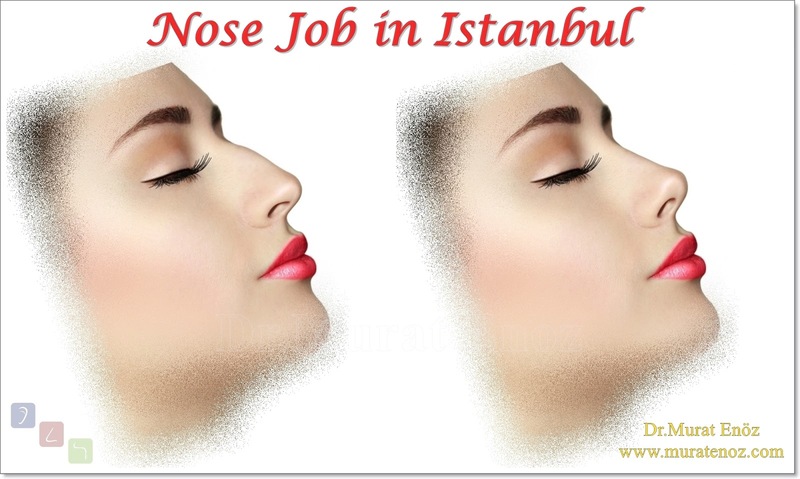 Sometimes we can do small things together, not perfection, but a more beautiful and functional nose. 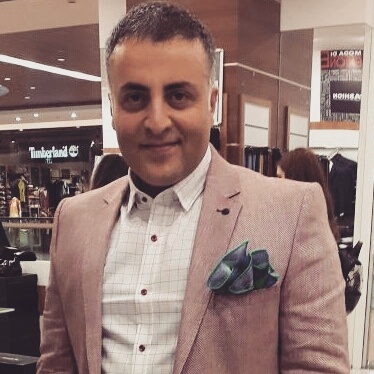 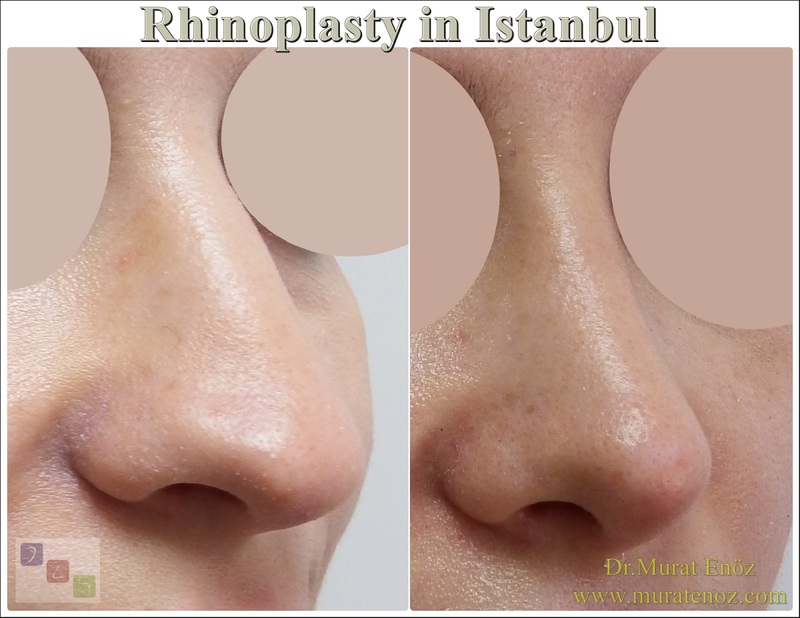 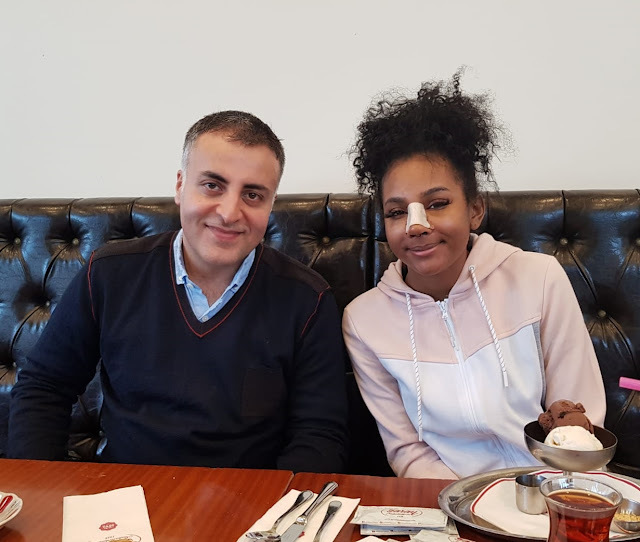 Our patient from a far away country, who shared the photographs above and below, came to Istanbul in order to eliminate aesthetic problems outside the nose and functional problems within the nose without the use of an industrial filler or permanent suture material. - endoscopic examination revealed deviated nasal septum deviation and turbinate hypertrophy. - curved cartilage areas of the curved septum inside the nose were taken and the nares were minimized with radiofrequency device. 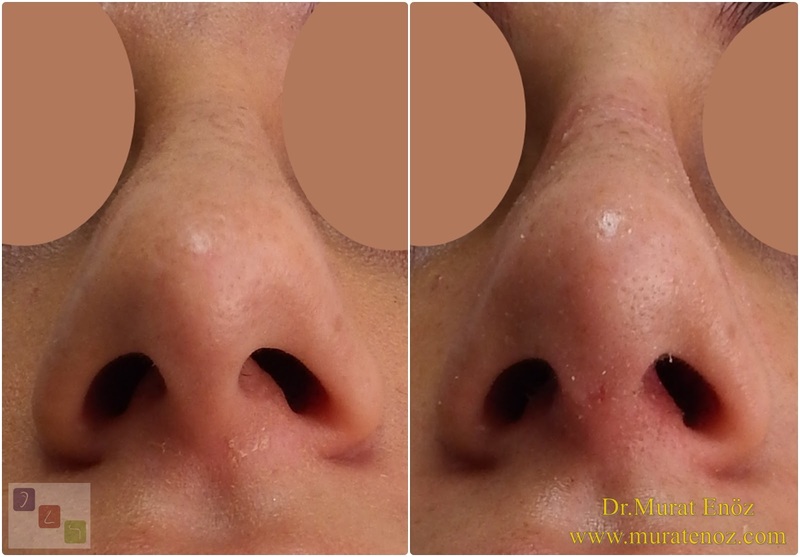 subcutaneous tissue was removed from the tip of the nose by using bilevel dissection in order to dilute the thick skin and use the subcutaneous tissue as a natural filler while removing the nasal tip skin in the form of open technique nasal tip. 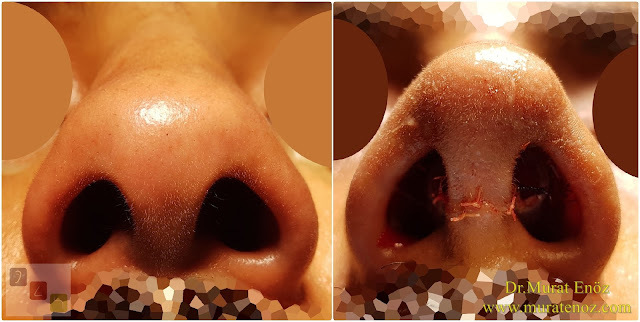 - After mixing with blood and antibiotics, subcutaneous tissue was subdivided and filled into the nasal area by a very small subcutaneous dissection (red arrow). 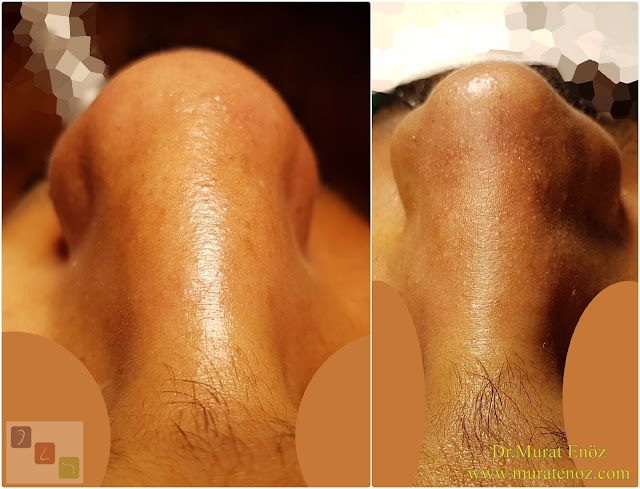 - grafts from cartilage taken from the cartilage of the septum of the curved septum were placed on the nose tip, and cartilages on the nose wings were partially removed and sutured back (blue arrow). 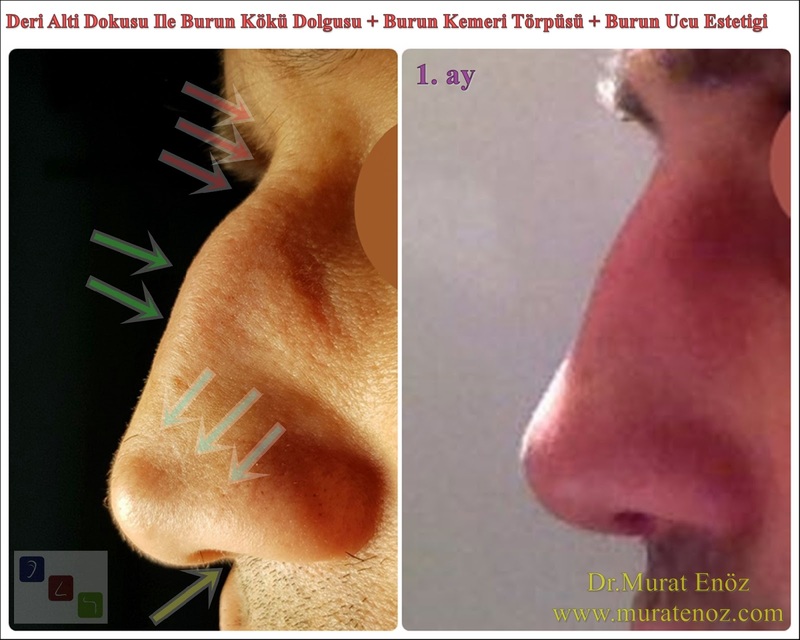 In this way, the tip of the nose was more directed to the front and the areas of the nasal wings were treated. 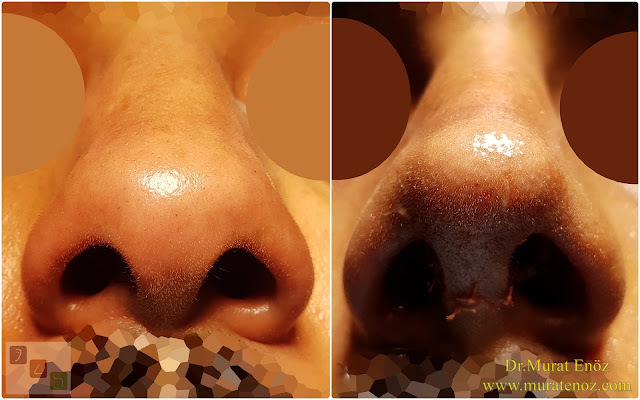 Thinning and narrowing in the tip of the nose when looking from the front is obtained without reduction in the diameter of the nostrils (without contraction of the airway area) in addition to the narrowest space in the nose of the nasal valve area is also provided expansion. 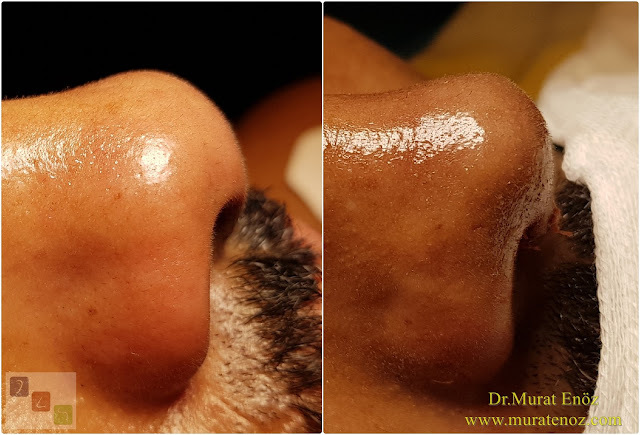 - with the effect of the cartilage graft placed at the tip of the nose and back of the columella, it is seen that the region (yellow arrow) appearing in the retraction in the columella has reached the normal position after the procedure. - all of the procedures performed here involve a limited amount of tissue changes, and the method that your examiner will recommend you is the right one. 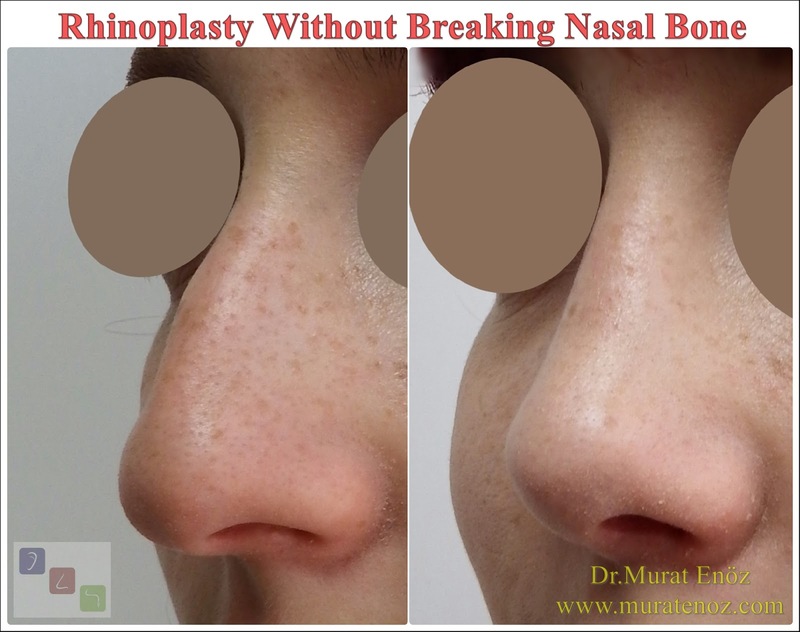 Perhaps you may have wondered that they were all done under local anesthesia and no nasal passages were placed after the procedure, but it would be more appropriate for you to choose general anesthesia. 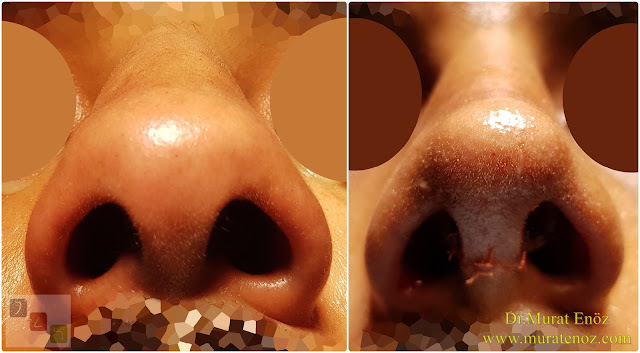 Again, a patient who does not want too much change in the nose and without expectation of perfection, "nose tip aesthetic + limited nose hum rasping + nose root filling with the subcutaneous tissue" operation is done, patient's pre and post photos and video are shown below. 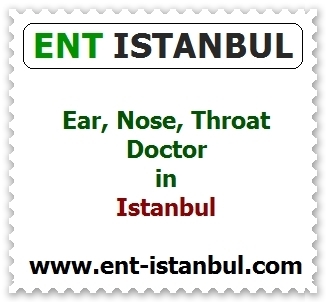 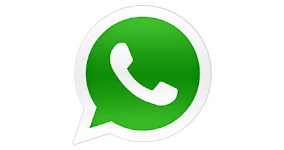 The patient was operated under general anesthesia. 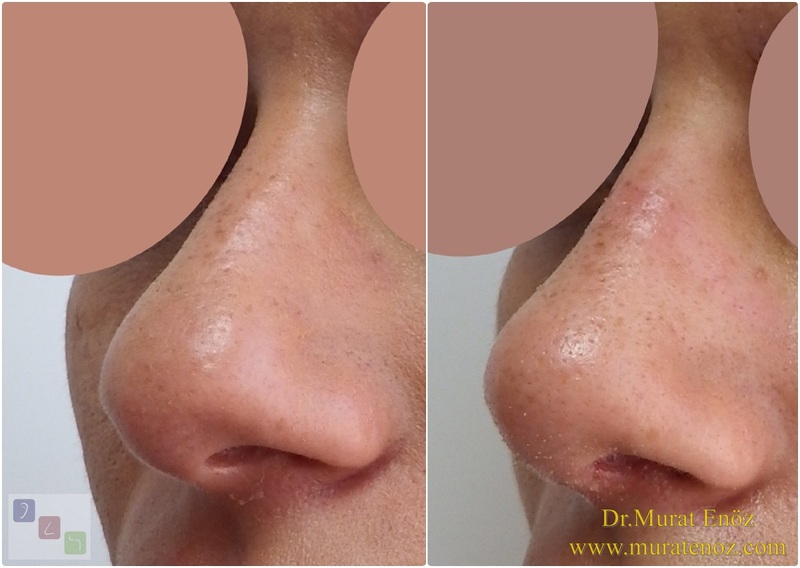 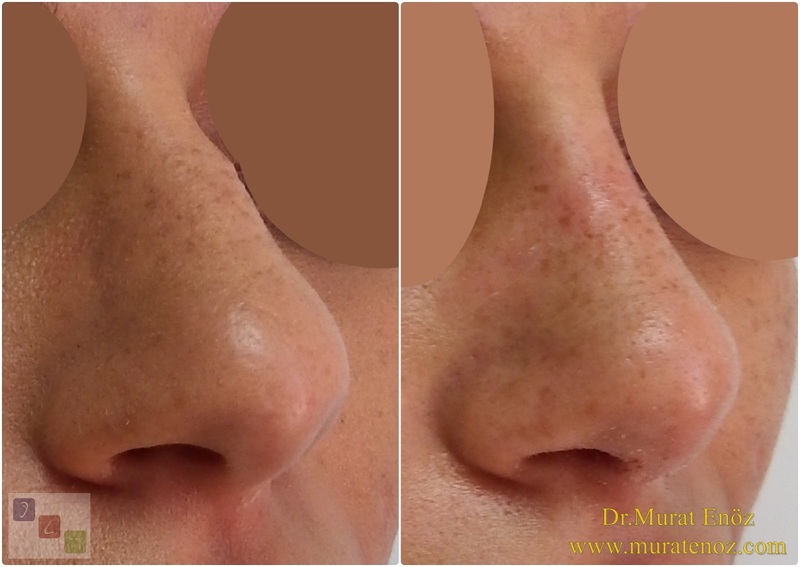 Again, for a patient who does not want too much change in the nose and without expectation of perfection, the photos of a female patient whose nose tip aesthetics + limited amount of nasal hum recution and nose root filling with subcutaneous tissue taken from the nose tip are performed. 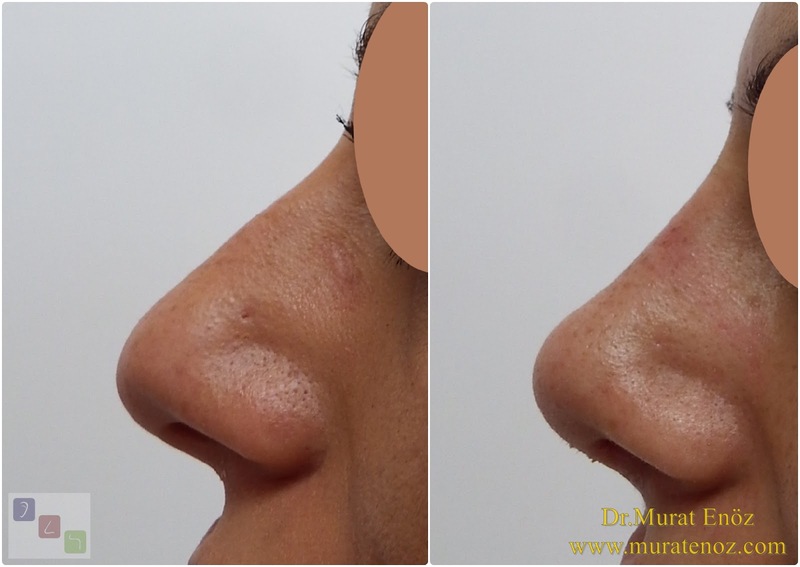 A few months ago, the injected hyaluronic acid filler was aspirated from the nasal root during surgery. 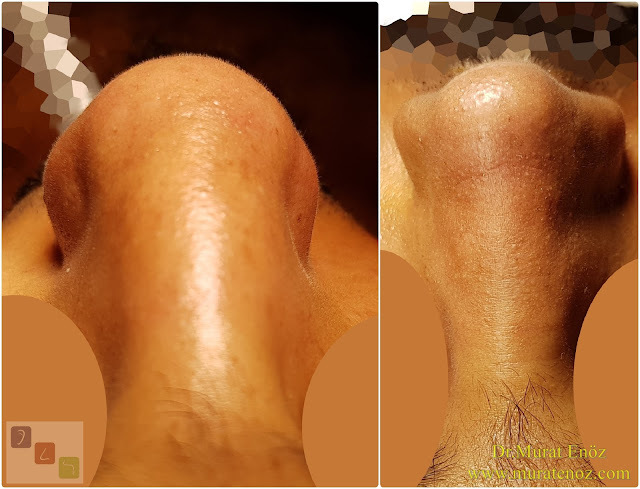 The patient was operated under general anesthesia. 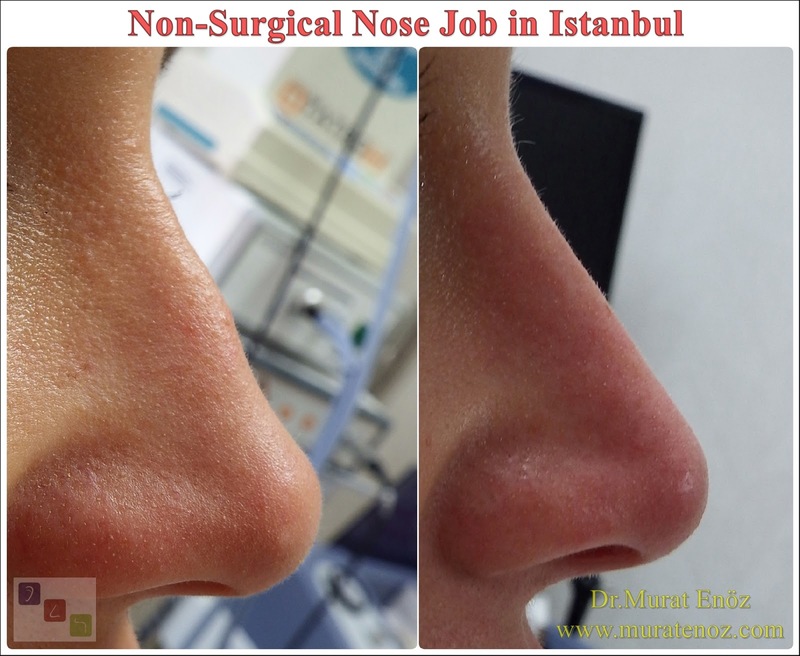 The tip of the patient's nose is still edematous after the 2 weeks from surgery.